The holidays are here and as a busy mom who works full time I am always looking for ways to make fancy dinners easier. Everyone always tells me how great a crock pot is but I do not own a crock pot since I am the sort of person who has a hard time leaving things plugged in and cooking when I leave home. 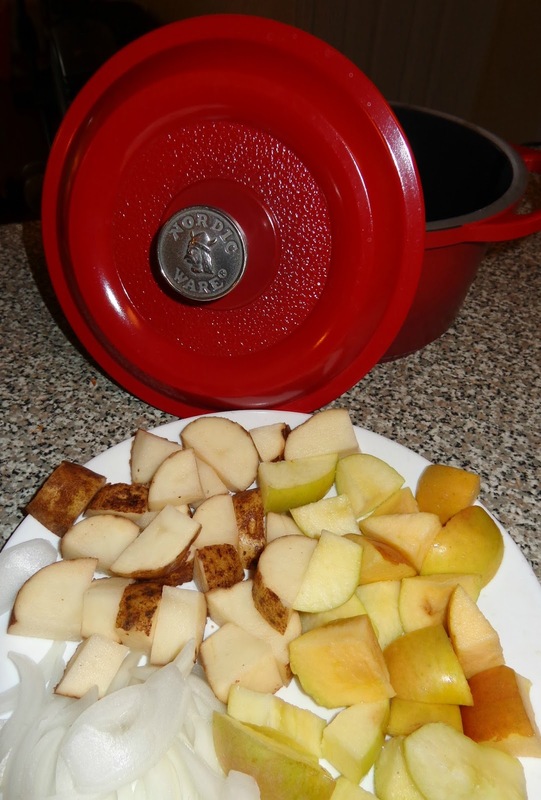 But I have been wanting to find an item that can give me a slow roasted taste to my dishes while I am home doing other tasks, a dutch oven was the perfect solution for my family. I have seen them in stores and have always wanted a Nordic Ware Dutch Oven. The Nordic Ware 3 Qt. 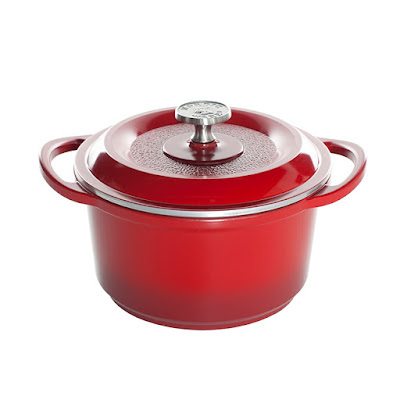 Dutch Oven has been a wonderful addition to my cookware and bakeware collection. The red is beautiful and the cast aluminum pot is sturdy without being heavy like cast iron. It even has a self basting lid! Made in the U.S.A. with lifetime warranty this will be a pot I plan to cook delicious meals in for decades. It is non stick, non rusting with efficient even heating from the cast aluminum built. Make sure to use oven mitts with this cookware as the handles do get extremely hot when using for oven cooking. The Fall and Winter for me are a time I enjoy cooking the most. When it is cold outside there is nothing like a delicious home cooked meal to bring my family together and warm us up. Most people are cooking turkeys and hams during this time of year so I decided to try a new Pork Stew recipe to serve something different. 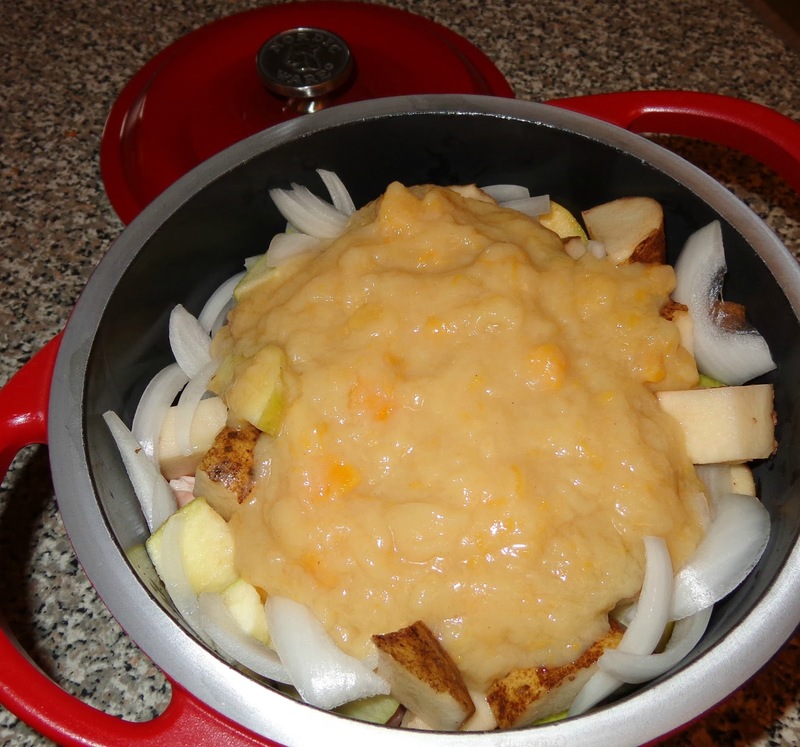 I love the flavors of apples and butternut squash together, with that in mind I created a recipe that was simple but tastes amazing. Pre-heat oven to 425 degrees. Cut into even chunks apples and potatoes, slice onions into long strips. 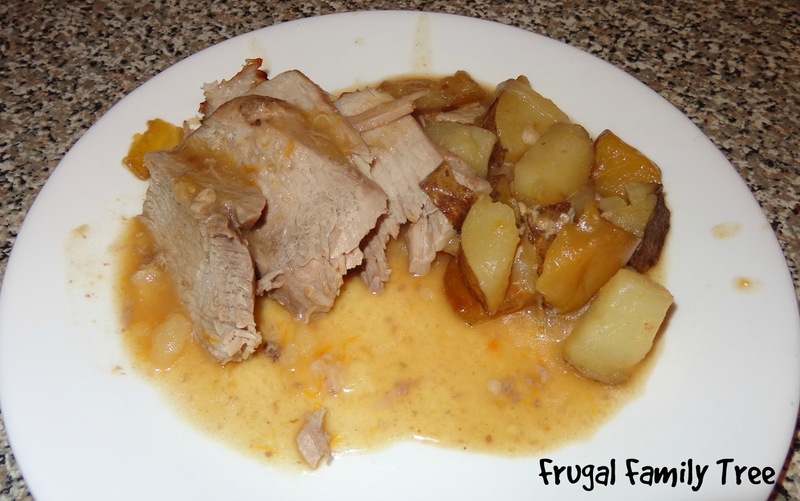 Place pork and apple cider into Nordic Ware 3 Qt. Dutch Oven. 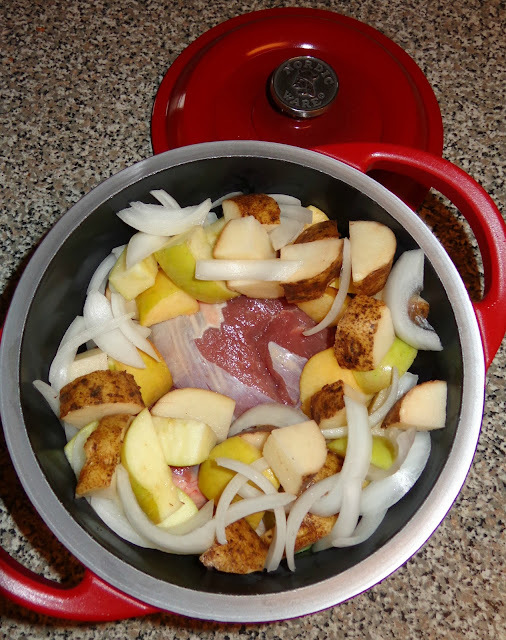 Add potatoes, onions and apples. Open can of organic no salt added Butternut Squash soup, add soup on top of ingredients, do not mix. Cover with dutch oven lid, place in oven for 2 1/2 hours. Check to be sure pork is cooked entirely before serving. Enjoy!